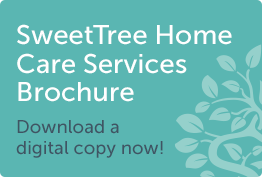 The specialist Neurological Conditions Service at SweetTree offers the highest quality personal care and support to enable people to remain in their own home with dignity, independence and control over their lives. Each person-centred care package focuses on individuals’ background, preferred lifestyle and wishes for the future. Care plans thereafter are regularly reviewed to address each client’s changing and complex needs. In addition to regular support throughout the year for clients within our local area, we also offer care packages for short breaks, holidays and respite for clients all over the UK and overseas.Working with the MS Society and in conjunction with a third party travel provider, SweetTree can arrange holidays and journeys for those with specific mobility, sensory and cognitive requirements. “I can’t recommend SweetTree enough, if you are looking for a company who really want to help, who really care. SweetTree’s Support Workers are friendly and very well trained. They’re such great company, reliable, consistent and just really good quality”.